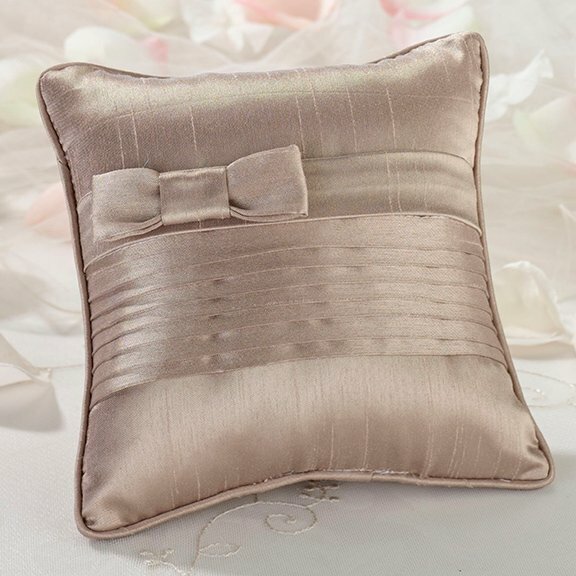 The Taupe Pleated Pillow for Ring Bearers is a sophisticated accent for your ceremony. The warm, rich taupe color is elegant and modern. The pleating and simple bow add interesting detail without being fussy or overdone. 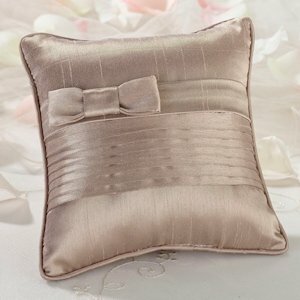 Measuring 6" square, even a ring bearer's small hands can easily manage carrying this cushion. It will also look great in your home after the wedding.